Colorado, needless to say, could arguably be the go-to place for the snow-starved and the ski aficionados. 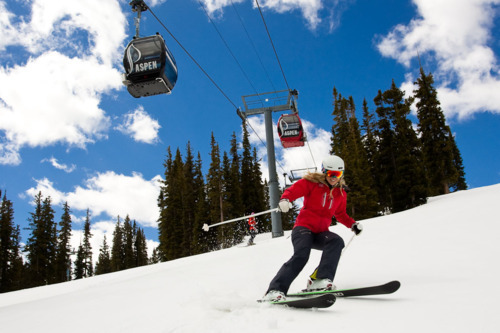 Colorado has some of the best and the most loved ski vacation destinations; – ranking the best, needless to say – is Snowmass Ski Resort. Snowmass Ski Resort is family friendly and offers many fun activities for visiting families aside from skiing. Parents will find no reason to worry at all over leaving their kids. They can hit the snow all they want and know their kids are having as much fun as you are, with Snowmass Treehouse Kids Adventure Center! This all-season facility is among the newest additions to the resort and offers kids a nature-themed fun off the mountain. The Treehouse Kids Adventure Center also offers ski and snowboard classes. Children can learn the basics and fundamentals of the sport long before they actually hit the slopes. The Treehouse Kids Adventure Center is just one of the many items Snowmass Ski Resort has more to offer. This ski vacation destination also has room for adults and kids with autism who want to learn the sport. The mountains at Snowmass Ski Resort offers numerous different trails for skiing and/or snowboarding. One day just isn't enough time to cover all the slopes these large mountains offer! Therefore be ahead of everyone else and hit the slopes first thing in the morning by getting the First Tracks pass or receive the best tour of these moutains and sign up for Snowmass Naturalist-Guided Snow tours! These snow tours allow guests to gain a different perspective of these amazing mountains! Finally Snowmass Ski Resort offers visitors the best way to end the day by having a least nine on-mountain and on-base restaurants. Each of the nine restaurant hold a different dinning experience. Snowmass Ski Resort in Colorado is the place to be! ....Ready to book your Snowmass Ski holiday vacation? Please contact a travel specialist at 888-754-2167 for the most up to date deals, specials and incentives.